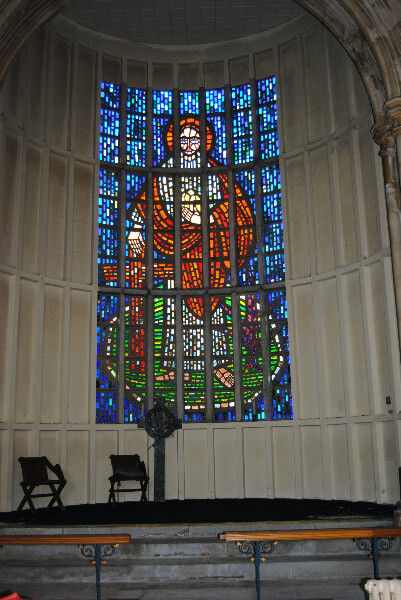 The article on the angels rescued from All Saints Church, Harwell Street, Plymouth, which appeared in the Summer 2012 Newsletter, had a postscript which listed five Anglican Victorian churches that have been demolished since 2000 and one scheduled for demolition last June. This sad statistic prompted the DBG committee to try to assess which churches are left, given that so many have gone, and the prospects for those remaining. Step one was a paper exercise, namely to establish a list of all the churches in the city and try to prioritise those on it. Step two was to convene a group to visit Plymouth to assess the condition of the buildings. This outing took place on May 8th and included five committee members and two knowledgeable others. It was a fascinating day but one that, ultimately, left us depressed that such good buildings could be allowed to fall in to such disrepair and that so many face reordering, “de-pewing” and other changes to their historical contents. St Mary the Virgin, Laira (T R Kitsell, 1911), massive though unfinished, in stone with a splendid east elevation. St John the Evangelist (B Ferry 1851-5) suffers from the proximity of Exeter Street. St Gabriel (W D Caroe, 1909-10 and 1924) one of Caroe's finest churches. St Simon, Mount Gould (Harbottle Reed, 1903-5) one of the finest churches visited, a superb space with fine detailing. Tragically, work was already under way to strip out many of the interior fittings despite no apparent faculty to do so. Emmanuel (W H Reid, 1869-70 with various extensions, some by Hine and Odgers and recently a modern entry and reception area). St Philip and St James (N Alton Bazeley, 1912-13) perhaps the most imposing and interesting building in the Weston Mill area, was due to be demolished in May 2012, a few weeks after celebrations for its centenary! Since Christmas 2012 the congregation has worshipped in the church hall but the interior of the church remains intact, its east end glass by Norris glows and a leaking side aisle roof would appear to be a straightforward repair. The organ is of remarkable quality. Very sadly it would appear that the demolition approval process has gone too far for the building to be saved. 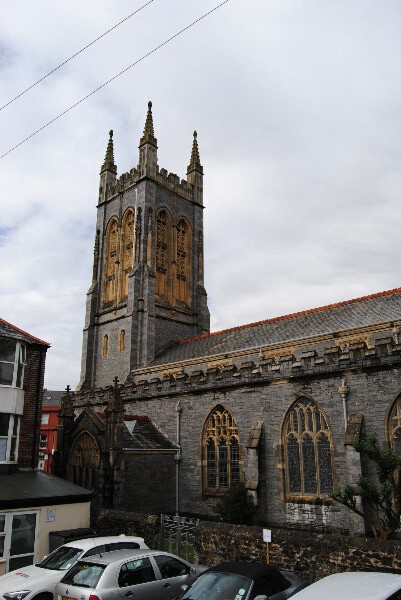 St Matthias (Hine and Odgers, 1887) with a large square tower from the top of which spectacular panoramic views of Plymouth can be enjoyed. 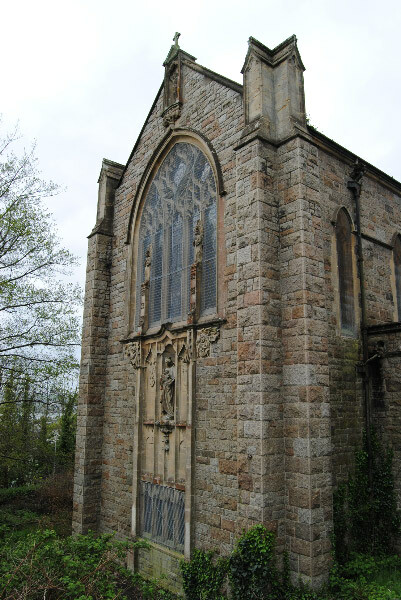 It was soon obvious that more visits are called for, such is the number of fine late 19th and early 20th century churches in Plymouth which are in danger of being abandoned. Therefore we plan a second visit in February and we are working with a former senior staff member in the Department of Architecture at Plymouth University and a doctoral graduate student on the preparations for a survey of all the Church of England churches for possible publication in the Newsletter or as a stand-alone booklet for wider distribution. We also plan to continue gathering information in order to make a reasoned argument for the retention of the structures, preferably for religious use, but otherwise, for whatever purpose can best serve their communities. Suggestions for other churches to be visited as a matter of urgency would be welcome - Contact Us.